Components which are used as source of bind operation receive few extra events and API commands, which allow you to push data in slave components. 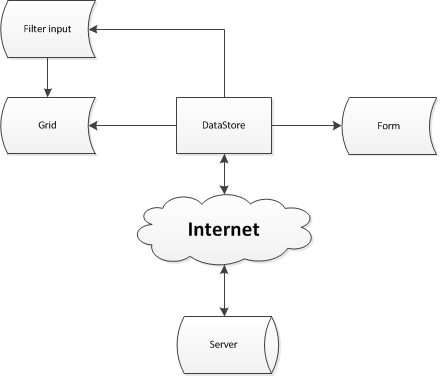 to force loading of the necessary data in all components, which use the grid as the master control. to get the current position of the cursor.